century, the style of british P!O!P!-bands and the sensitivity of german authors. we were re shivering again then - "bossa nova" is a timid beauty conquering the hearts of P!O!P!-friends all over the world. it was 1995. some of us were in love, some out of love; some were happy, some suffered from a broken heart. all of a sudden an ep by a band called busch appeared - it was the most sensitive and touching music we've heard in a long time. songs based on a jangling guitar and a beautiful and shyish voice - and the lyrics were in german. kreuder - founder and singer of busch- wrote songs about tschingis aitmatov, about girls called helen or amelie and about feelings that we knew so well. romantic poetry in P!O!P!-songs. so we went out and told everybody about "our busch" - and that they were the mere opposite of the uk rockers with a similar name (in english spelling though). 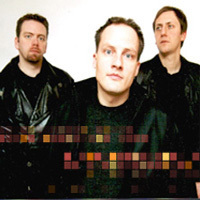 a debut-album called entsetzlich was released in 1996 and lead to euphoric reviews in magazines like the spiegel or rolling stone. kreuder was described as a german morrissey, his band as an equivalent to the smiths - a comparison that might be somewhat true, with music reminding everyone of a classic c86 style. busch played some concerts and sebastian huthmacher joined kreuder in the band. we were waiting for the next album to come; the years passed on and every now and then the rumour of a new record by busch made us shivering in pleasure of anticipation. and then we heard the new recordings by busch - and it hit us like the first time. 1986 in the 22nd century, the style of british P!O!P!-bands and the sensitivity of german authors. 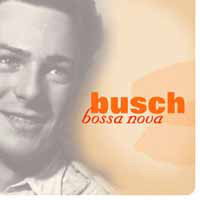 we?re shivering again now - bossa nova is a timid beauty conquering the hearts of P!O!P!-friends all over the world.